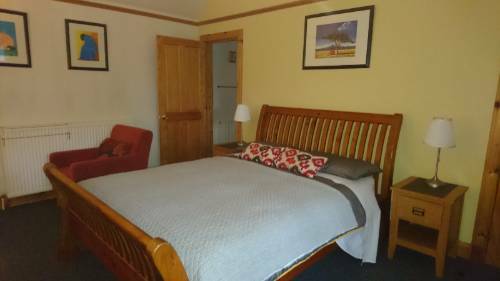 All rooms are en-suite with FreeviewTV, tea and coffee, and free Wi-Fi Single occupancy is available at a reasonable rate. A travel cot is available on request. We ask for a deposit of £25.00 per room at the time of booking payable by cheque since we do not accept credit or debit cards. We do accept PayPal payments. We do not charge for cancellations provided we receive at least one month's notice. If we receive less than one months notice and are unable to re-let the room then the deposit will not be refunded. Please note that since we only have three letting rooms we do apply our cancellation charge, and therefore strongly recommend that you take out suitable travel insurance. Room 2 is our King en-suite room with freeview tv, tea & coffee facilities. 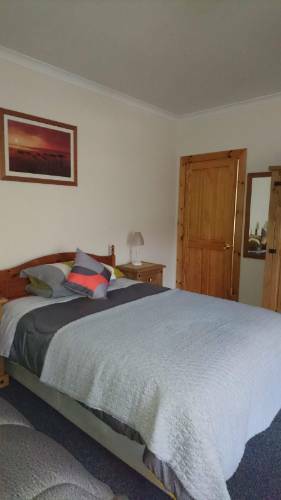 This room is a large spacious comfortable room and is available from £75 per night based on 2 sharing with breakfast included. Single occupancy rates are available from £35. Room only rates are also available please enquire for these rates. 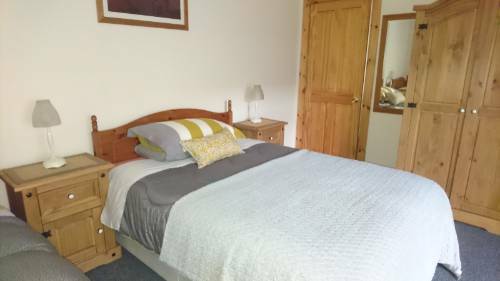 Room 3 is a spacious en-suite Twin bedded room with en-suite bathroom, freeview tv, tea & coffee facilities.